Clinical genomics has shown great utility in the diagnosis of genetic diseases. Some of the greatest benefits have been realized in the field of pediatrics, where the rapid diagnosis of genetic disorders in infants can result in rapid treatment that significantly improve patient outcomes. Pediatric hospitals face unique challenges in implementing genomic testing, however, as the clinical utility of whole genome or exome sequencing depends on the ability to rapidly analyze and interpret large amounts of sequencing data. Diagnostic yield and accuracy are of the utmost importance, and at the same time, limited expert resources necessitate tools to accelerate interpretation. In this presentation by Fabric Genomics, Dr. Katarzyna (Kasia) Ellsworth, Associate Laboratory Director at Rady Children's Institute for Genomic Medicine, discusses the launching and scaling clinical NGS testing in a children’s hospital environment, utilizing Fabric Enterprise for the rapid interpretation of genomic data to decrease turnaround time and increase diagnostic yield. Rady is advancing rapid whole genome testing as a first-line test to diagnose critically ill children in the NICU and PICU. 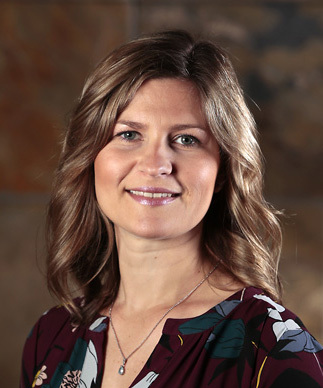 Kasia Ellsworth, PhD, FACMG, is an associate laboratory director at the Rady Children's Institute for Genomic Medicine. She has completed fellowships in both clinical biochemical genetics and clinical molecular genetics at the Greenwood Genetic Center in Greenwood, South Carolina, and is certified by the American Board of Medical Genetics and Genomics (ABMGG) in both specialties. She earned her PhD in Molecular Pharmacology and Experimental Therapeutics at the Mayo Clinic College of Medicine, in Rochester, Minnesota. ©2019 Fabric Genomics, Inc. All Rights Reserved.